Map created by @jamieclark85 – click on image to visit his website for further information and to download the map. I love it when people use slick design combined with relevant ideas to communicate with their students. When Mind/Shift posted the photo, they acknowledged the source via his Twitter handle. A quick search on Twitter, led me to his profile where I quickly made him someone that I will follow. It also pointed me to his WordPress blog which I also followed so that when he posts more gems, I will be one of the first to know. 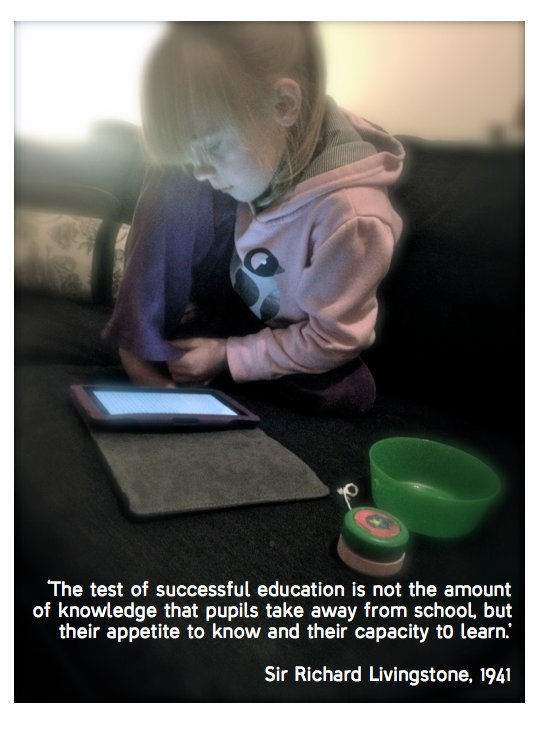 Having done this, I perused his blog, downloaded some of his files for use in my classroom and then created this post. During all this, I found another link to UKEDChat, who had written about the use of maps in classrooms to help students make connections with ideas, given links to an online tool to create your own map, and provided photos from teachers around the UK who have already put this idea into practice. Now, granted, I have not engaged in a conversation with Jamie, we are not friends – yet we are “friends”. I have watched this video three times today and I have been amazed by the number of people who have shared it. When I first started using social media I was a Facebook only person. That has expanded over time to include my blog, Twitter, Pinterest…and more. But how I use social media is also changing. My feed is spattered with pictures of sunsets, plates of food, people’s kids, and snapshots of idyllic lives being lived. But it is also full of politics, world news, educational links, discoveries, ideas, passions, and things that make me think, wonder, and want to connect with others either by sharing what I find or by using what I find in my classroom. I agree that we need to look up more. I wish I could embed a video of the giggles let loose from my daughter’s two-tooth filled mouth as we pushed her on the swings in the park today. But that would have meant I couldn’t be grabbing her little legs with my hands and staring into her adorable little face. I didn’t want her to see a rectangular box as she swooped down, but our crazy, happy faces almost touching hers. And yet without social media, I don’t think I would be the same teacher I am today. I don’t think I would have the ability to connect with people who are liked-minded, to make new connections, and to renew connections from years ago. I am grateful that I get to add @jamieclark85 to my tribe. I am grateful for the reminder to look up. Internet – friend or foe? I am going to go with friend. A colleague at school today asked me how long I had been blogging. Two years. Slowly, I have built a little following. Seth Godin would say, I have gathered my tribe. I am motivated by the possibility of something better than what currently exists in education. I don’t want to sit passively and wait for change. I want to seek change. Kick it out from it’s dark corners and musty shelves and shine a light on it. Over time, I have found others who share my philosophy, who challenge my thinking, who offer similar – yet diverse- perspectives. A new follower of my blog sent me the following link. I have a new-found love for Graphic Novels so this appealed to me not only for its style but its message. Take a second to click on the image below and read the whole story. And then, find the others. Your soul will thank you for it. Two weeks ago, I went to the opening of the Matisse Cut Outs Exhibition at the Tate Modern. It is the largest collection of his paper cutouts ever assembled and included a couple of fascinating movies of the artist at work, culminating in his magnificent paper cut outs transformed into stained glass windows – breathtaking. Henri Matisse is the embodiment of persistence. After becoming ill and no longer able to paint and sculpt, Matisse turned to his scissors. His work shows the transition from the fluidity of the brush to the more definitive slicing of paper. Undeterred by the change in medium of expression, Matisse would simply cut and cut and cut, adding layers and shapes to his cut outs to achieve the desired look. He would pin his work in place before gluing it down. One of his pieces had more than 1000 pinholes in it as he continued to arrange and rearrange to get the desired outcome. Persistence. It is something we talk about, encourage in our kids, hope to embody in our own lives. Sticking with something until it’s done – whatever that looks like to you. Matisse had persistence in spades. He was often commissioned by philanthropists and art lovers to create bespoke work and during this process, would often have his designs and colors perpetually rejected. He embraced this rejection. Embraced it. An elderly man, in failing health, and he chose to live his life having his work critiqued and rejected, offering him the opportunity to put together different colors, shapes, patterns – all with the goal of finding a palate and design that was perfect for his client. He was inherently persistent. So how can we build this in our kids? I think one of the things we need to be doing is continually pointing out the gains that are being made as learners – even when these ‘gains’ are not necessarily directly related to the acquisition of knowledge. What do I mean? Say you had asked your kids to write a persuasive essay. Your student works hard but ultimately their work is not meeting the agreed upon criteria. If all of your focus goes on the product (the essay) the motivation to persist in the face of perceived “failure” may be quite low. If, however, you were to employ Guy Claxton’s Split Screen approach, you would still take time to evaluate and discuss the essay, but then you would ‘split’ your time by discussing the process. What tools would have helped more? What questions could have been asked? What was good about the way the work was initially organized? By “splitting” between process and product, students can see that they ARE making progress and growth in their learning. The skills you help them see that they have developed can be transferred to the next task. They will be more likely to persist when they can see the possibility that exists within themselves. As teachers, we have to help shine a light on that possibility. *I have written previously about Process-vs-Product. Check it out here.